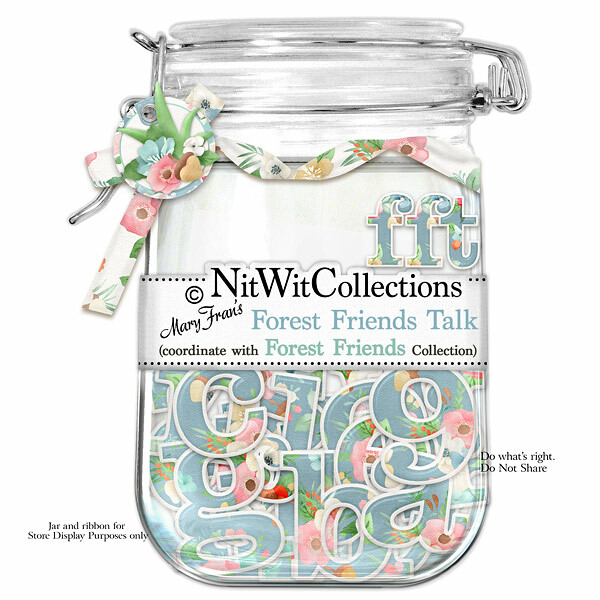 "Forest Friends" Talk is such a standout with the richly coloured blue and floral interiors and the white border around the edges. Be "Wild" in your scrapbook layouts, cards and mini albums by using this alpha to highlight your very best sentiment or memory. 1 Alphawit set of lowercase letters, &, apostrophe, exclamation mark, question mark, quotation mark and set of numbers(0 to9).